There is a great deal of controversy and concern surrounding root canals and I get messages from people all around the world telling me that their dentist is recommending against a root canal and that I support the procedure, and asking me to help them decide what to do. Let me start by saying that I neither promote nor oppose root canals. 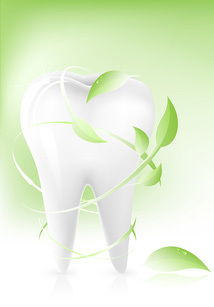 From where I stand, there is currently no good answer to dental problems that affect the roots of the teeth. Root canals, like anything else, carry risks and benefits, and each situation must be assessed individually. It would be a mistake to take a definitive stand on either side of the issue. In some specific instances, pulling the tooth makes sense, and that’s fine. In others, there are some minor differences to the conventional root canal that can help preserve the tooth and protect against some of the problems that often occur after a root canal. My dentist is recommending that I have a root canal. Would it be better to have the root canal or have the tooth pulled? What are the consequences of root canal vs extraction? I had a root canal and I recently read that it is dangerous to keep the affected tooth. What are the risks? What should I do? There is a school of thought in the holistic dentistry community that root canals are dangerous, should never be done, and if you’ve had one, that it should be removed. Sometimes there are acceptable alternatives to a root canal, but not always. Before agreeing to having a tooth extracted, research the options available after the tooth is out and make sure they are acceptable to you. Always keep in mind, your body, your mouth, your teeth. Your dentist works for you and you make the decisions. If you decide your options are unsatisfactory after the extraction, it’s too late. I’m sure I don’t have to tell you that having a tooth pulled is an irreversible decision. Make sure you understand all of the consequences, risks and benefits of any course of treatment your dentist recommends before you make a decision you may regret. I do agree that there are a number of potential problems with root canals. But when moving from an abstract discussion to people who actually have to make the difficult decision, and soon, about how to handle serious dental problems, often while in excruciating pain, there are few concrete answers. 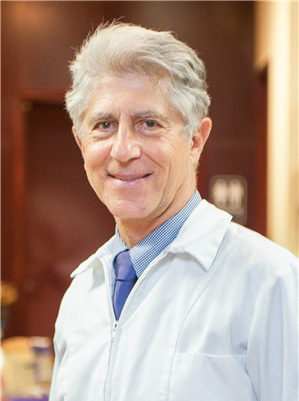 I recently had a discussion with a well-informed woman regarding the book “Root Canal Cover-up Exposed!”, Dr. George Meinig’s book reviewing Dr. Weston Price’s research of the issues surrounding root canals. I should give a little background information before I tell about this discussion. I do root canals quite frequently in my practice. My office is mercury-free and I like to think of it as a holistic, caring practiced with an emphasis on creating a healing atmosphere. Having read the issues presented by Dr. Price and Dr. Meinig as well as other holistic dentists, I am familiar with the issues and I do tend to agree with them in the abstract. As I’ve mentioned, however, the abstract discussion of these issues does not translate well to making the decisions in the real world, simply due to a lack of reasonable, acceptable alternatives. Here is my take on this complicated and troublesome issue. First, a quick review for those who may be unfamiliar with the points raised in the book. Root Canal Cover-up Exposed was written by a dentist by the name of George Meinig and based on the research of a dentist by the name of Weston Price. Dr. Price did a great deal of fascinating research into root canals, infections and treatment in the early 1900s and came up with some surprising findings. Dr. Price’s basic premise was built around the idea of focal infections. Focal infection was a prominent idea in medical practice at the time. The idea behind focal infection is basically the idea that infection can spread from one part of the body to another, sometimes distant, part of the body, much like when cancer metastasizes. The theory was that infection in the gums (because we’re talking about dentistry in particular, but could apply to infection in any other part of the body) could spread to the heart or other area where it could be dangerous or even life-threatening. The idea has never been disproved and, though it seems to be vaguely accepted, no one really seems to give the idea much thought anymore. The reason you don’t hear much about the idea anymore is because of penicillin and, later, other antibiotics that treat infection systemically. With the help of antibiotics, it matters little where infection originates, just what type of bacteria is causing it. The world of medicine has shifted from treating the cause to treating the symptoms. When you treat the symptom without treating the cause, it can come back, sometimes with a vengeance. The way Dr. Meinig describes the debate in his book, the debate among leaders of the medical, dental and pharmaceutical communities was intense. Many who were sceptical of these new medications were seen as outdated and reactionary. As you can tell by the widespread use of antibiotics today, the new idea became widely accepted. Great progress was made with this shift in thinking, but it is possible that some valid wisdom was lost along the way. Back to Dr. Price. He experimented with implanting infected teeth, in some cases pulverized infected teeth, of people with a variety of health issues under the skin of lab animals. In a short time, the animal would come down with the very same conditions as the person from whom the infected tooth came. Now, it might be reasonable to expect that the infection from the implanted teeth might spread to other parts of the body, but the surprising outcome was that the infection manifested in the animal in the same way that it had in the person. For example, if an infected tooth from a person with a kidney infection was introduced under the skin of a lab animal, the animal developed a kidney infection. Current medical theories cannot adequately explain how frequently and how closely the ailments developed by the lab animals reflected those that had been seen in the patient. Beyond this, Dr. Price reported finding that 95% of all focal infections begin in the mouth, particularly in the teeth and tonsils. His theory was that harmless bacteria found in the mouth gets trapped in teeth and tonsils, causing infection. These bacteria would then undergo mutations that made them harmful. The mutated bacteria get into the bloodstream and travel through the body, leaving toxins in their wake and settling in distant parts of the body, causing damage and disease. As if to exacerbate the problem, Dr. Price goes on to explain that even when root canals were performed using best practices according to the generally accepted standards of the time, and when x-rays showed that the bone around the root was healing well (thought to be evidence that the infection is gone), even with all that, he reported that the harmful bacteria were still there, still trapped in what was left of the tooth, still spreading toxins and still causing disease. This is a whole different theory than what I have been taught all the way from the time I was in dental school all the way up to now. I read the book with an open mind and a capacity to question claims gained through my years of training and 25 years of experience since then, and I must admit, he makes some persuasive points. Let me explain how a tooth is constructed. In the center of each tooth is a nerve, the root. In the center of the nerve is a hollow space, the nerve canal or root canal. This hollow space isn’t necessarily a straight column, it may have curves or small branches, but this space makes up the root canal (not to be confused with the procedure, which involves removing the nerve). In healthy teeth, the space is filled with capillaries that supply blood to the nerve. When a root canal (procedure) is performed, the nerve is removed and the entire space is cleaned out and antibiotics used to sterilize any remaining bacteria. Finally, the space is filled in to support the tooth structure and prevent bacteria from invading the now vacant space. 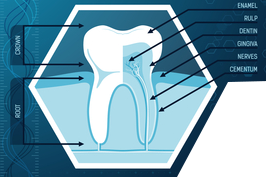 According to Dr. Price and Dr. Meinig, the structure of the tooth is far more complex than what I have been taught. There is not one large space to be concerned with, but millions of tiny tunnels branching off the central space and spreading out through the root of the tooth to the surface of the root. These tiny tunnels are called dentinal tubules, and connect the surface of the root to the bone and the blood stream and provide plenty of space for bacteria to hide from the dentist’s efforts to eradicate them. This theory has recently been confirmed using an electron beam microscope. What are the ramifications of these findings? In my opinion, there are several, but I will discuss two in particular. First, it seems that if a root canal is to be done, it is best done early. As well as simplifying the process for you, performing the treatment earlier helps to reduce the chances of infection developing inside the tooth and hiding in the tubules where it is difficult to treat. Early root canal problems are caused by inflamed nerves. If untreated, inflamed nerves become infected nerves, and it becomes much more difficult to effectively treat. The second issues is that there is only one medication that is commonly considered to be able to really eradicate even the most drug resistant bacteria in the tooth, calcium hydroxide. Calcium hydroxide has been proven to be more powerful than modern pharmaceuticals, but most dentists who do root canals only use calcium hydroxide in very specific cases. It could be used much more frequently for root canals, and for a longer course of treatment, as long as a month. Most dentists prefer to complete the procedure in one visit, or at most two visits a week apart. Conventional dentists put little effort into adequately cleaning out the tooth based on the idea that any infection can be dealt with using a round of antibiotics later. You could just decide to leave an open space. This is a valid option, but if it’s a front tooth, you may not want to have a visible gap in your teeth. Even with back teeth, there may not be the aesthetic issues, but missing back teeth can still cause a slew of problems. Not only can you develop problems with your gums and reduced chewing ability, but also problems with bite leading to TMJ, cranio-sacral problems and even chiropractic problems. It is possible to remove teeth and not have any issues at all, but most people will have some kind of trouble at some point. The majority of people who have teeth extracted will opt to have them replaced sooner or later for any number of reasons. 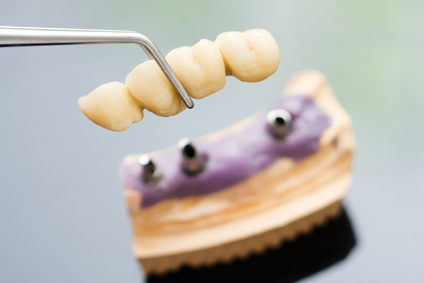 The first option for replacing teeth is with removable partial dentures, bridges that you can take out to clean. Many people see bridges as unattractive and dirty. They do the trick, but not well. As replacement teeth, they are functional, but inadequately. Many people prefer something more permanent replacement that feels more like real teeth. To obtain a more natural replacement requires a fixed bridge with caps or an implant consisting of titanium posts integrated into the bone to imitate lost roots. Implants are complex, expensive and involve surgery and all of the risk associated with any surgery. Generally they work well, but what are the long term implications of implanting a metal rod into the bone? The fact is, it really isn’t clear. From the viewpoint of conventional dentistry, they’re great. They look and feel like real teeth, they last for years, what’s not to like? From a holistic perspective, who knows what we’ll discover in a few more years of observation? Holistic dentists are aware that each tooth is associated with acupuncture meridians and it seems to me that some of the implants could interfere with meridians flowing through the area where they are placed. So, if removable bridges are unattractive, and we don’t really know the long-term implications of implants, then what? It is possible to cap the teeth to each side of the gap and connect them to a dummy cap to fill the gap. This is a method that’s been used for a long time and now we have more options in materials than ever before, including options that do not contain metal. Of course, this option depends on having teeth on both sides of the space and those teeth being strong enough to support a fixed bridge. If you don’t have teeth to cap or those teeth aren’t strong enough, then this option is out. Then there is the possibility that capping those other teeth results in such trauma that the nerve breaks down, leading to those teeth needing root canals or extractions. This doesn’t happen often, but it can happen and it does happen. While finding a good dentist can minimize the possibility, but it’s not always due to any carelessness on the part of the dentist. It can happen even if you have an excellent dentist. What’s the solution? That’s just the thing, there really isn’t one. There are a number of passable options, but they all have their risks and drawbacks. There’s no ideal answer, if there were I would be all over it. So, there are problems with root canals, and problems with extractions, how can dental professionals treat diseased teeth, while observing the issues presented by Dr. Price, Dr. Meinig and others? Dr. Price’s research was conducted nearly 100 years ago. Obviously many advances have been made since then, and with them have come medications that were not available at that time that can be used during root canals. One of the most significant is calcium hydroxide, a simple salt used in the making of lime water. It was available at the time, but not for use in root canals as it is now. Now, calcium hydroxide is considered to be among the most powerful sterilizers available for use in the nerve canal space. It has the added benefit of being safe and able to stimulate the bone to rebuild around the space left by the removed root. All dentists who perform root canals do use calcium hydroxide, but most of them only use it in very specific and difficult circumstances. Dr. Meinig examines the use of calcium hydroxide in his book and recognizes its effectiveness, even commenting that it can kill highly resistant bacteria in a minute or two. There have been a number of quite compelling studies done into the use of calcium hydroxide. We now know that when calcium hydroxide is applied to the inside of the tooth, the cementum (the surface of the root) can be observed to see the pH change. As you may know, pH is a measure of acidity/alkalinity of a substance. The scale ranges from 0 – extremely acidic, to 14 – extremely alkaline, with 7 being neutral, neither acidic nor alkaline. Calcium hydroxide is a strong alkaline, while the surface of an untreated root is neutral (7). In studies, the root surface went from 7 at the time of treatment, to 9 on about day 3, to 10 at 18 days, where it stayed for the duration of the studies (120 days). It was discovered that this change in pH affected the entire tooth, suggesting that the entire tooth was positively affected by the application of calcium hydroxide. Of course, as calcium hydroxide wasn’t even being used for root canals during Dr. Price’s time, he had no way of knowing this. There is still no guarantee that every single cell of bacteria has been or can be killed using calcium hydroxide. There are never any absolute guarantees, but the evidence is quite strong. These are not the only potentially significant advantages to using calcium hydroxide. The technique used to remove the nerve typically leaves behind tiny pieces of the nerve, particularly in the branches, that cannot be reached. Calcium hydroxide is able to dissolve these left over bits of debris that can lead to infection, provided it is left in place long enough. Also, if the root canal issue has been a problem for a long time, there is a strong possibility of damage to the surrounding structure. As in the study mentioned above, the calcium hydroxide permeates the canal space and spreads to the surface of the root and beyond to the ligament holding the tooth in the socket and on into the bone. If allowed to penetrate to the bone, calcium hydroxide is able to reduce inflammation, alleviate discomfort, neutralize the effects of infection, stimulate bone building and kill bacteria. Knowing all this, it’s a wonder that dentists don’t use calcium hydroxide every time they perform a root canal. Considering the drawbacks of all the tooth replacement options, and the risks of waiting to do a root canal, when one of my patients has a problem in the nerve canal, I nearly always recommend the root canal procedure. I use calcium hydroxide inside the tooth and leave it in place for a full 30 days. In serious cases, I have been known to reapply the medication for another month, or even several more months before considering the procedure complete. When one of my patients has expressed concern regarding old root canals, I have redone the root canal using my calcium hydroxide protocol. As much as I stand by my technique I cannot guarantee it to be a perfect solution, but of course no other dentist can guarantee that their technique, whether holistic or conventional, is going to be any better. I can only offer what I believe to be the best solution available based upon my research and experience. So is there a problem with calcium hydroxide? The major question surrounding the use of calcium hydroxide has to do with long term impact. Even assuming that calcium hydroxide can render the tubules completely bacteria free, which is not proven, what happens over the months and years following the procedure? Can bacteria infiltrate the tooth and repopulate the tubules? It’s definitely possible, it happens in the case of gum disease. If it does happen, will it cause the same problems as bacteria that are left behind when a root canal is performed? It would seem like it could be just as much of a concern, but there is no way to be sure at this time. Is it possible to test root canals? There are dentists that test teeth using methods such as kinesiology or acupuncture, or even Voll Testing, an electrical, computerized technique similar to acupuncture. Are they credible? We still don’t really know. I do believe these techniques could have their place, any kind of indication is helpful, but I sure wouldn’t have a tooth pulled based on one. There is hope in all of this. Testing methods are being developed as more attention is being brought to the issues. A promising test has been established at Affinity Labeling Corp. at the University of Kentucky. The test detects toxins surrounding the teeth, whether from root canals or from the gums. Does it work? I don’t know for sure, but it does seem to be one of the most promising and scientifically based method for testing teeth available now. Unfortunately, in 2010, the group seems to have vanished and I have not been able to find anything about them on the internet. Maybe that will change at some point. Some researchers have attempted to find out what happens to teeth that have had conventional root canals using Biocalex. Based on my own experience with Biocalex, I do not feel it is good practice. There are a number of established issues with Biocalex including teeth splitting beyond hope of ever being restored, post-procedure pain and odd sensations, inability to perform any kinds of future procedures on the teeth that may be needed later, and inability to see anything on an x-ray later. In short, I have used Biocalex on many of my patients in the past, but never again. Calcium hydroxide has, at least in my practice to date, proven itself dependable and I continue using it in the way I discussed above. Calcium hydroxide and Biocalex are not the same thing. I do hope that this article helps readers gain some clarity to help them make appropriate choices about their dental care in general and regarding root canals in particular. What I want to accomplish here is to explain, as simply as possible, what I see as a pragmatic approach to a complex and far too frequent dental issue. I sincerely hope that it does justice to the perceptive observations of Dr. Price and that I have been able to merge his work with the advances that have been made in the field of dental science since then. To determine which biocompatible option is best for you, Call (619) 630-7174 for a free consultation with Dr. Daniel Vinograd.